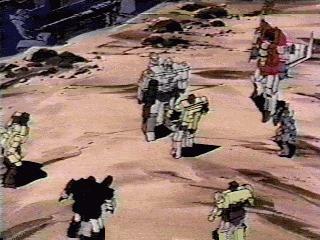 Rumble, Scavenger, and Bonecrusher are shown here making a clearing in search of "The Heart of Cybertron." 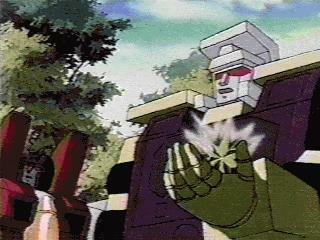 Megatron tells the Decepticons not to fly away from the animals attacking them. 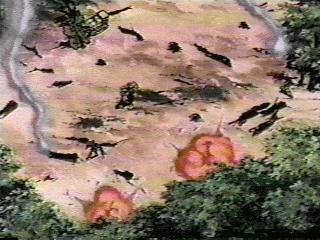 "No, we must remain on the ground to avoid satellite detection." 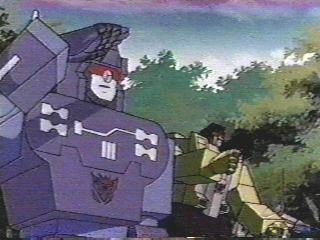 Scavenger and Megatron look for and locate the energy source. 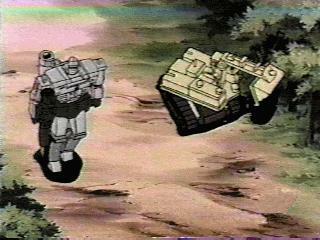 The Decepticons scare the archeologists away from the Cybertronian ship. 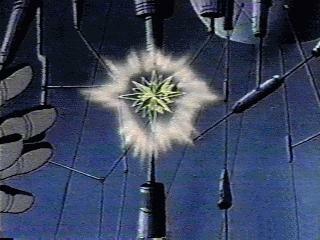 Megatron extracts the "Heart of Cybertron" with Hook's cyber forceps. 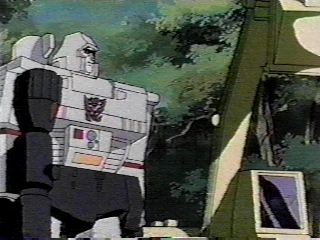 Hook asks Megatron what he is going to do with "The Heart of Cybertron". 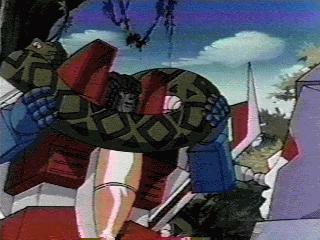 Megatron then orders Hook to install it in his chest. Hook completes his task rather quickly. A battle pursued once the Autobots showed up. 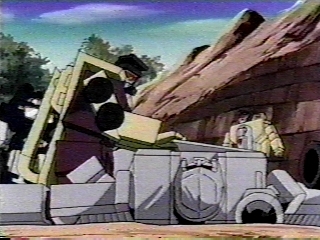 The Autobots were able to beat the Decepticons by burying them in rocks from a mountainside. The Constructicons then clear the rubble.